Gotu Kola - Natural dermocosmetics and dietary supplements. Collagen creams. Asian nations attribute Gotu kola many valuable properties. Now you try this herb yourself, thanks to its 500 mg extract sealed in 2 capsules. 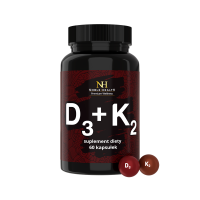 The product does not contain anything more - in order to simply meet your needs we have focused on one particular substance. Gotu kola, i.e. 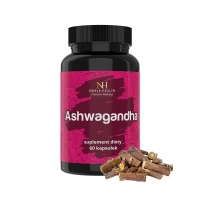 Asiatic pennywort supports proper functioning of the cardiovascular system. Product ingredient: Asiatic pennywort extract (Centella asiatica (L.)), gelatine. 1. Who should use Gotu Kola? 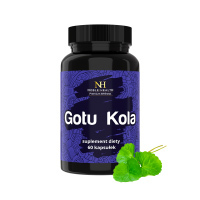 Gotu Kola is a food supplement for people, who want to maintain proper functioning of their cardiovascular system. 2. What are the ingredients of Gotu Kola? Gotu Kola belongs to the Basic line, therefore its composition is very simple - without unnecessary additives. Product ingredients: Asiatic pennywort extract (Centella Asiatica (L.)), gelatine. 3. What are the properties of gotu kola? Gotu kola supports proper blood circulation. 4. How to use Gotu Kola? 5. How to store Gotu Kola? 7. What is the net weight of Gotu Kola?